An official reddit app for Android users is on the way, but first, this app needs testers to make sure everything is in working order. 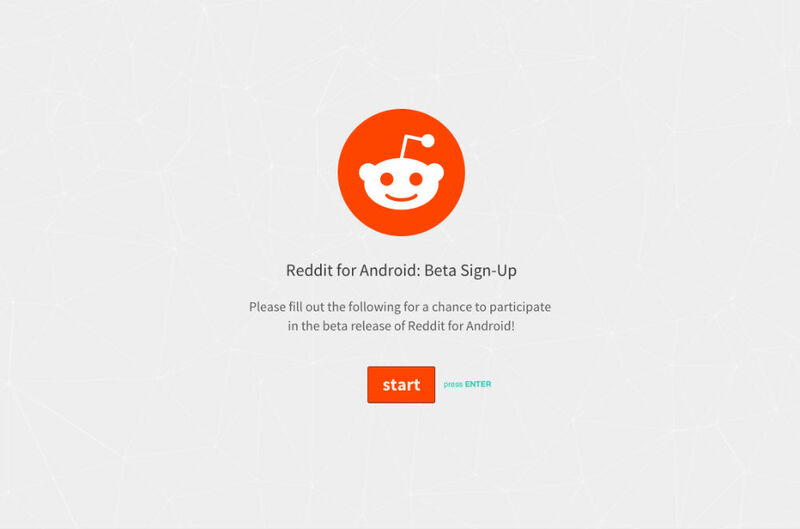 reddit is taking sign-ups to participate in the beta, possibly allowing a few of you to try out the app before it is made available on Google Play. Signing up is easy enough – you will be asked questions about your reddit usage, where you use reddit, how often you vote on reddit, and a few other things. All seem pretty standard to be entered into a beta. At this time, the reddit team does not have a concrete launch date, but with a beta in the works, it must be close. I would say it’s about time we got ourselves an official reddit app. You can sign yourself up by following the link below.